Kewra Oil is extracted from the flower called Kewra, that is well-acknowledged for its sweet flowery fragrance. 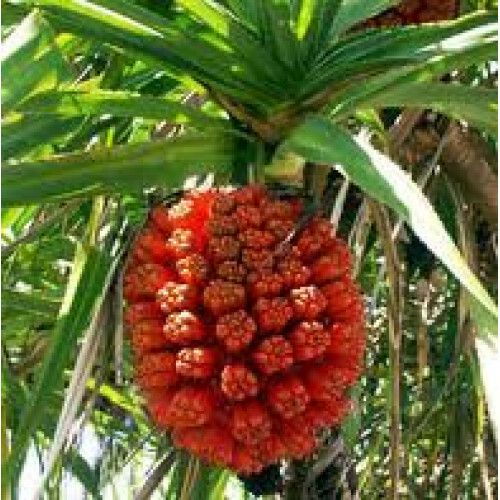 Having botanical name (Pandanus Odoratissimus) it has a sweet fragrance with pleasant quality that is similar to rose flowers. The watery distillate is widely used in perfumes & in a variety of food flavor preparations. Kewra flowers have a very sweet fragrance with a pleasant quality similar to rose flowers, but kewra is more fruity. The watery distillate (kewra water, pandanus flower water) is quite used in sweets. it can easily be handled and can even be poured using a teaspoon. Our Kewra Absolute oil is widely used in in perfumes as well as for variety of skin and hair preparations.